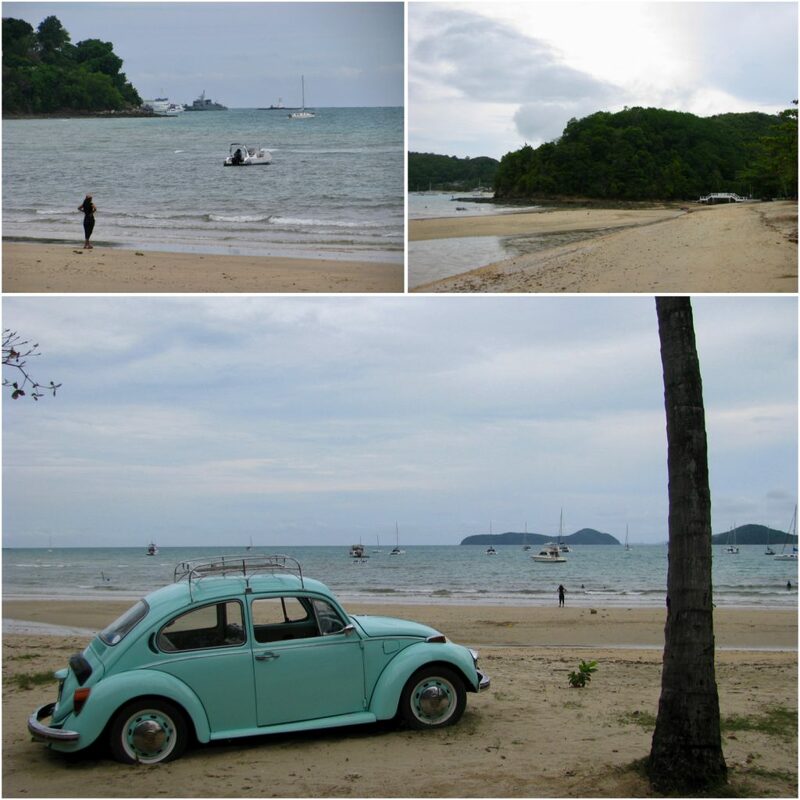 For many expats, living in Thailand is all about experiencing the sea and sunny beaches. Basing yourself in Phuket puts you right on Thailand’s largest island, surrounded by dozens of beaches and world-class diving locations. 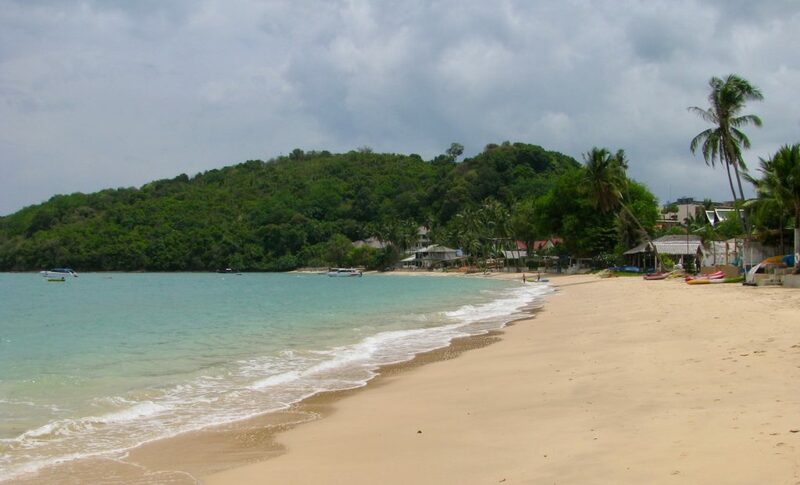 To accommodate the growing number of digital professionals wanting to live the good life, Iglu has opened a Phuket office on Ao Yon Beach at the southern tip of the island. 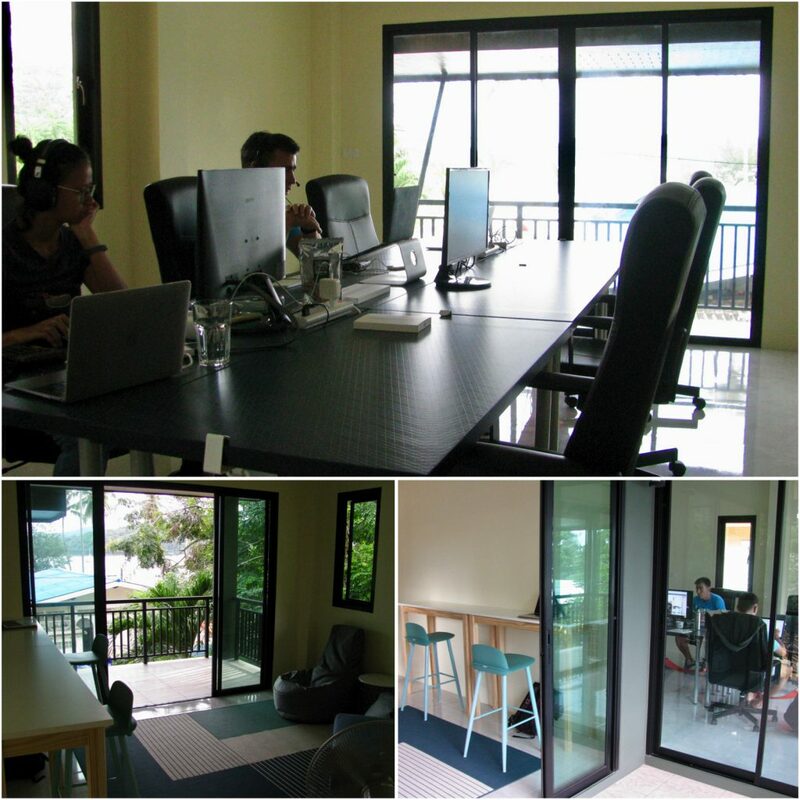 Iglu’s Phuket office in Ao Yon sits in a quiet corner of the island, avoiding the distraction of the tourist masses. Despite being tucked away from the crowds, Ao Yon is easily reached from the population centers of Phuket Town, Chalong, and Rawai. Living in one of these three gives you equally good access to Iglu’s office and the popular west coast beaches, while also surrounding yourself with infinite dining and shopping options. The office is just 40 meters from Ao Yon Noi, the “little Ao Yon” beach, separated from the main Ao Yon beach by a small rocky head that you can cross on foot during low tide. There’s no beach vendors or sun loungers to clutter up this scenic little stretch of sand. You’ll likely just find a few locals having a picnic in the shade while watching their children splash around in the water, and several small boats anchored in the bay. 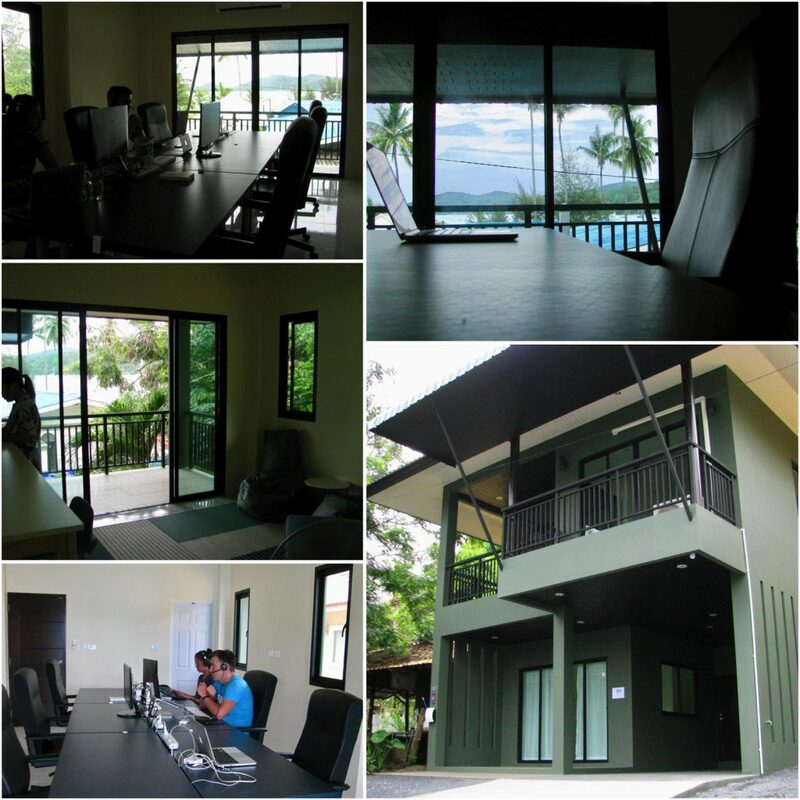 Occupying a two-story house, the Phuket office allows our eskimos to catch a view of the blue sea and green coconut palms from the upstairs working areas. You’ve got your choice of comfy modern office chairs and external monitors in the main room or a lounge room with beanbag chairs, a sofa-bed, and a standing-height desk with stools. 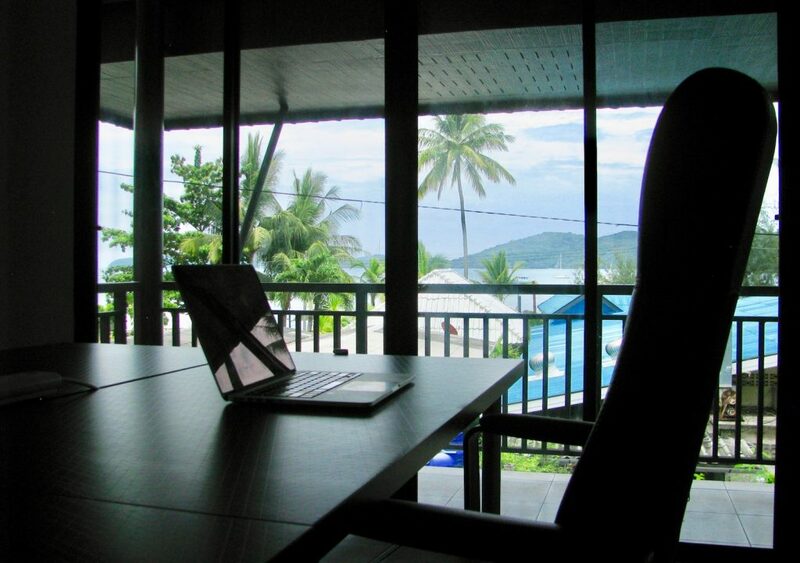 If you’ve ever wanted to work at a desk with a sea view, this is the office for you! 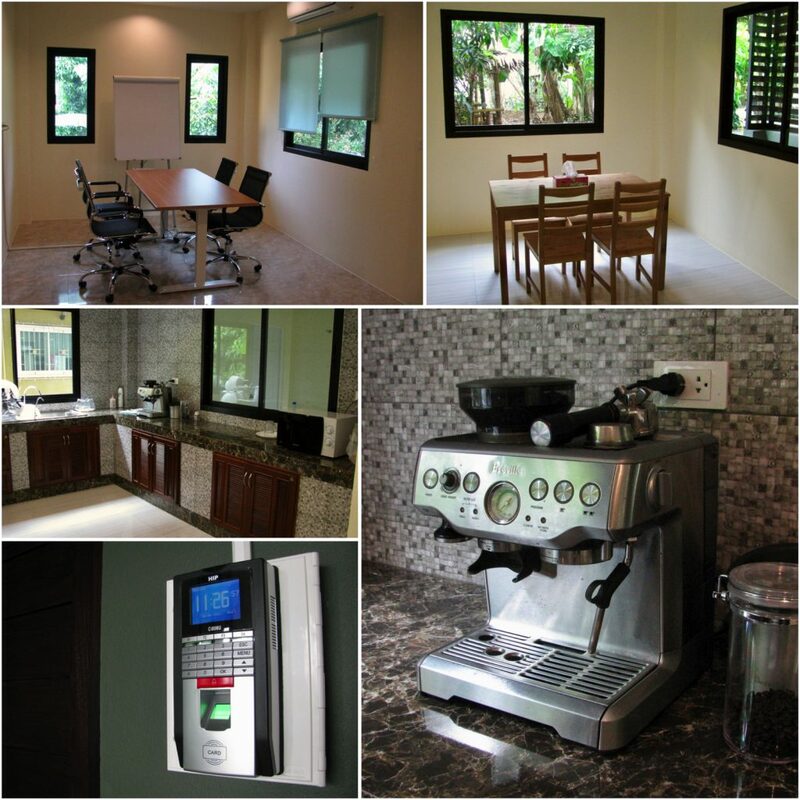 In addition to the main work spaces, the office also has a meeting room, kitchen, and dining area. Employees get to enjoy free coffee brewed from the Breville espresso machine and filtered drinking water right from the tap. There’s also a microwave and refrigerator for those who want to pack a lunch. High speed WiFi keeps everyone well-connected, and secure access to the building is obtained by the fingerprint scanner—synched to all Iglu’s offices. When you need to power up on more than just coffee, you’ll find two beachside dining options just steps away from the door. Ship Inn Bar & Restaurant sits directly in front of Iglu, and makes a nice spot to enjoy lunch at their bamboo hut tables by the sea. 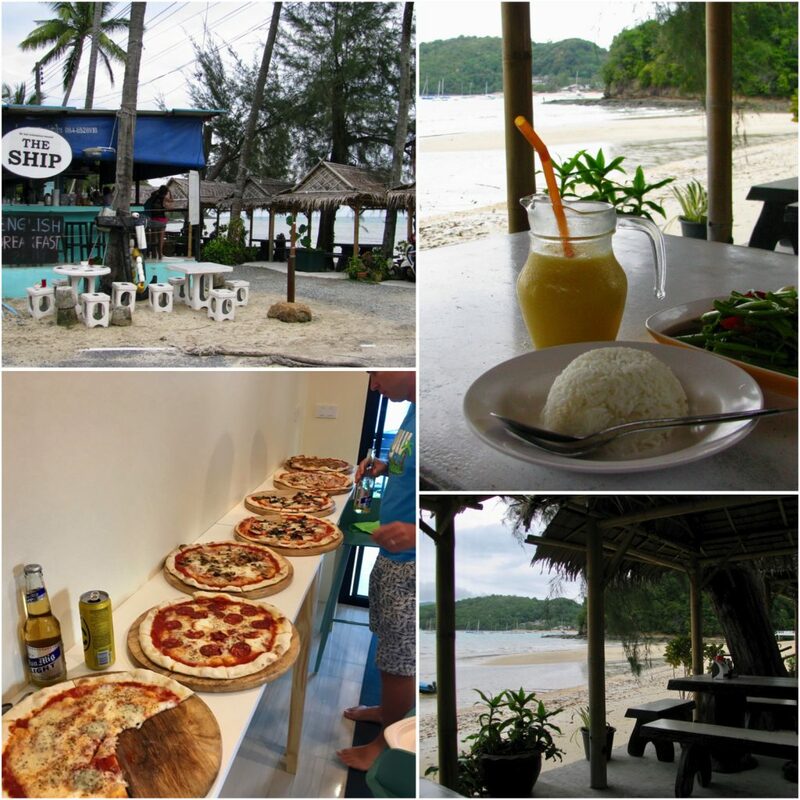 The Cove Phuket, right next door, also provides a scenic spot to enjoy a meal, and they serve up some excellent thin-crust pizzas as well. For additional dining choices, you can head to the main Ao Yon Beach—on foot if the tide is low, or else with a short drive on the main road. 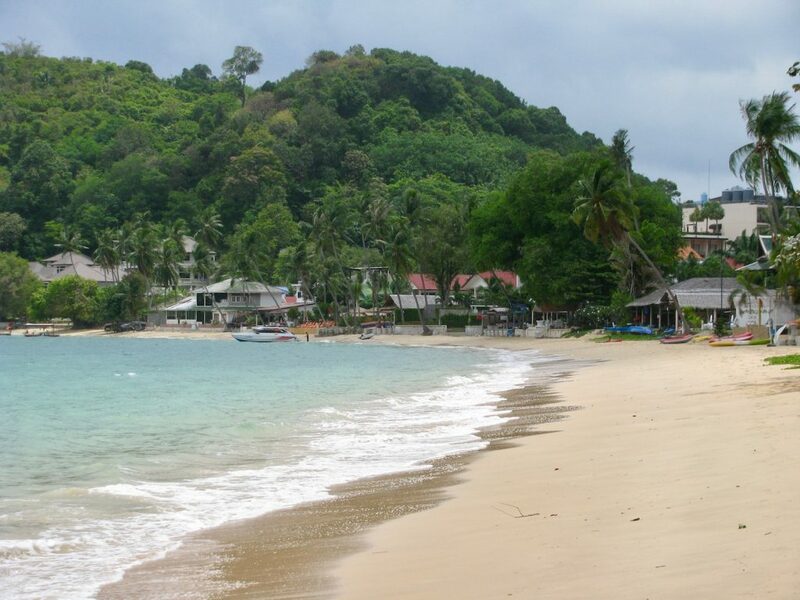 Be aware that you’ll have to park up by the main road when going to Ao Yon Beach if you don’t want to pay a hefty sum to enter one of the small private access drives. This beach is even nicer than Ao Yon Noi—it’s nearly a postcard perfect image of golden sand, blue waves, and coconut palms overhead. In addition to a few beach cafes, you’ll also find a sea kayak rental shop and a pearl farm. If you poke your head into the pearl farm shop, the kind older man running the place will show you how the pearls are grown and harvested. Out by the main road, there’s a Family Mart convenience store with an ATM, which makes a good spot to stock up on snacks when coming to the office. If you’re into fitness, be sure to check out Soi Ta-iad in the nearby Chalong area. This “fighter street” is home to a large number of Muay Thai gyms and other fitness centers. Every restaurant on this road has super-foods and protein shakes on the menu, and just about every foreigner staying here is packing a six-pack. For vegetarians, you’ll be happy to note that a large number of inexpensive Buddhist vegan restaurants are scattered throughout Phuket Town and surrounding areas. Just look for the red and yellow signs with the Thai letters เจ (“jay”). It should be no surprise to find vegetarian food plentiful since Phuket is home to a famous Vegetarian Festival. It usually lasts for 10 days in October depending on the Chinese lunar calendar. As for seafood fans, it goes without saying that you’ve come to the right place. Phuket has something for everyone. Whether it’s beaches, snorkeling, diving, nightlife, shopping, golf, or Thai boxing—you’ll find a way to enjoy your free time in the “Pearl of the Andaman Sea”. 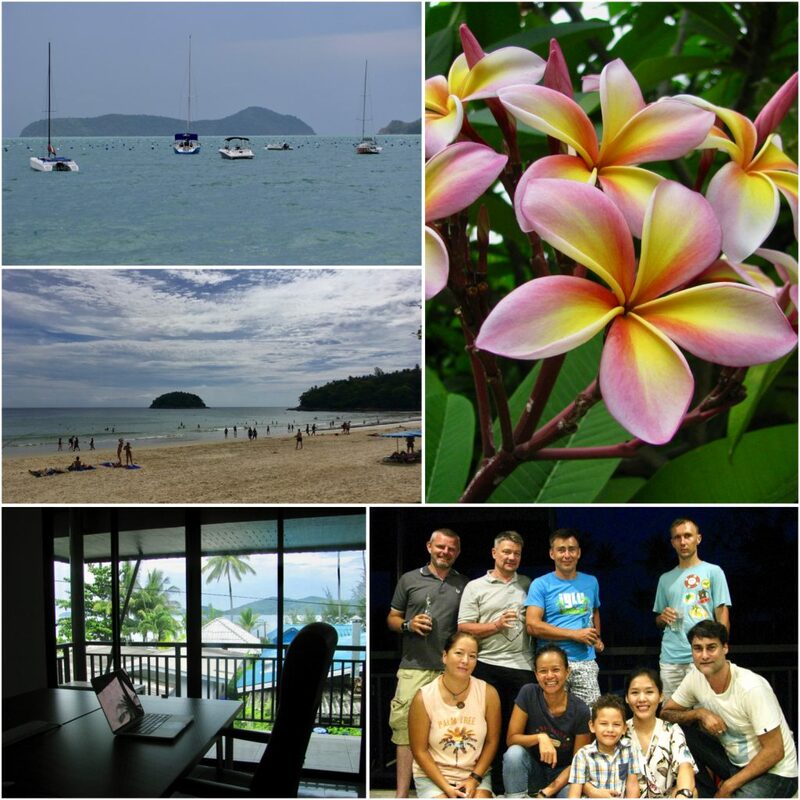 With Iglu’s Phuket office, digital professionals have an inspiring location to be productive while living in paradise.